As the Denver press corps continues HickWatch 2020 (and, following his super-duper-believable meltdown on the Senate floor, BennetGlance 2020), we thought we’d hop over to the betting markets to see what the smart money thinks. Turns out, actual bettors don’t think anything at all of either Colorado longshot’s chances. Indeed, the PredictIt’s 2020 Democratic Nominee market fails to so much as include either Hick or Bennet. We’re not sure who John Delaney is, but he’s there. 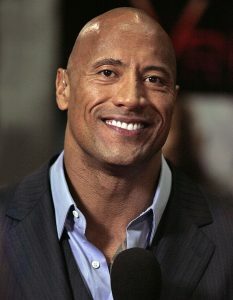 So is eight-time WWE champion Dwayne “The Rock” Johnson. So is Facebook’s Mark Zuckerberg. So is Oprah. The consultants planning to take paychecks off of our not-so-lovable future losers are the real winners here. In their honor, let’s sound the trumpets, if you smell what The Rock is cooking.